The dissemination of our EU-project BLASTIC has now reached as far as Singapore. Invited by the European Union Delegation to Singapore and the Embassy of the Kingdom of the Netherlands, Keep Sweden Tidy presented BLASTIC at the conference “Towards A Plastic-Free Ocean: What role for policy makers, civil society and business?”. As project manager for BLASTIC, we are overwhelmed and proud by the great interest we’re receiving both nationally and internationally. A nice outcome of the conference is that Gone Adventurin, a company driving Circular Economy in Asia, has a project in the Philippines concerning leakage of plastic waste, where they believe that the methodology developed within BLASTIC can be used. Now it only remains for the project to deliver a relevant and user-friendly guidance, which will become useful in the fight against marine litter. It all started in the end of June this year, when I was contacted by Lisa McGuirk from the Economic and Trade Section at the EU Delegation to Singapore. She asked about ongoing activities against marine litter at Keep Sweden Tidy, since they planned for a conference within the subject. 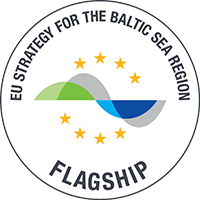 A few days later she sent me an invitation with the following justification: “The regional dimension of the EU-funded BLASTIC project, its relevant scope and the fact that it builds on multi-stakeholder cooperation within the context of the Strategy for the Baltic Sea makes it an interesting project to draw comparisons from. Hopefully it could serve as an inspiration to the audience at a seminar on marine litter in Singapore, while providing concrete examples of actions to reduce plastic waste in the ocean.” Of course, I said yes to this great opportunity. The summer and fall went on quickly and suddenly, one dark evening in October, me and my four-year-old daughter stepped on the aircraft heading for Asia. Both excited about the trip but probably out of totally different reasons. H.E. Barbara Plinkert, Ambassador of the Delegation of the European Union to Singapore, welcomed us to the dinner reception at her home in Singapore. Plastic in the oceans is one of our fastest growing marine environmental problems of today. For us who have worked in the field of marine litter for some time, it is clear that the outside world has now woken up to address the issue through, for instance, voluntary commitments from the Ocean Conference arranged by the UN in New York in June and the EU conference Our Ocean on Malta in October. Building on this global momentum, the European Union Delegation to Singapore and the Embassy of the Kingdom of the Netherlands initiated this conference with the goal to find ways to mitigate plastic waste entering the oceans by promoting the transition towards a circular economy. By bringing businesses, policy makers, non-governmental organisations and civil society together, the organizers wanted to raise awareness regarding the importance of environmental sustainability both in Europe and in Asia. Singapore takes the role of Chair in ASEAN and as EU coordinator for ASEAN in 2018. This gives the government of Singapore a great opportunity to address measures against marine litter in a regional perspective and to encourage and support both ongoing and developing initiatives. The great concern of marine litter was also reflected in the high level of speakers at the conference. Margriet Vonno, Ambassador at the Embassy of the Kingdom of the Netherlands to Singapore, welcomed the audience by emphasising that we all should care about waste because it affects us all. As a keynote speaker, Dr Amy Khor, senior minister of state, Ministry of the environment and water resources and Ministry of health, addressed that “The key to a plastic-free ocean lies in having policies to ensure that plastics are used judiciously and more importantly that plastic wastes are disposed of properly and do not end up in the water courses leading to the seas and oceans.” She also mentioned the need for marine scientific research to support policy and decision-making. Moreover, she told us that Singapore had its first “Keep Singapore Clean” campaign already in 1968! H.E. Barbara Plinkert, Ambassador of the Delegation of the European Union to Singapore stated in her speech that “This conference is highly pertinent and highly timely” since it is a very prominent problem. She pointed out that waste has a value and a change in attitude is needed. She also stressed that legislations are needed and highlighted that there is a need for extended producer responsibility, better collection systems for recycling and a ban of land-fills. On stage with Senator Cynthia Villar, Chairperson of the Senate Committee on Environment and Natural Resources in the Philippines and the moderator of the panel discussion Mr Victor Mills, Executive Director of the Singapore International Chamber of Commerce. “Moving towards a Circular Economy: the need for a new regulatory framework” was the title of the panel debate I participated in. The moderator for the debate was Mr Victor Mills, Executive Director of the Singapore International Chamber of Commerce. In the panel were, except me, Senator Cynthia Villar, Chairperson of the Senate Committee on Environment and Natural Resources in the Philippines and Mr Joeren val de Waal, CEO and Founder OrcaScuba. Although the discussion was more about good initiatives to diminish plastic waste of becoming marine litter than about circular economy and legislation, I do not think anyone in the audience disagreed. Senator Villar told us about a project in the Philippines where plastic waste was collected and remade to chairs used in the local schools. Mr val de Waal spoke with dedication about the importance of educating children and showing them how beautiful and important life in the oceans is and how to engage them to create a sustainable society in the future. Government – Policy and enforcement is needed to achieve a plastic-free ocean. Business – Solid Waste Management Offers Economic Growth Opportunities. Funding – Addressing the huge gap in ASEAN where very little resources are used on solid waste management efforts. No litter is seen on the streets in Singapore. This conference was broader than I expected. Much knowledge, especially about Asian conditions, was new to me and some knowledge that I already had was confirmed. I was pleased to see that so many seem to have understood the connection between plastic in the oceans, land-based sources and the importance of circular economy. Another piece of good news was that Extended Producers Responsibility were mentioned several times as a benefit for companies by the companies themselves e.g. from the packaging industry. Overall, the conference left a positive feeling, due to all good initiatives that are ongoing or will become implemented in the near future. This was also emphasized by the outcome of the UN Environment Program’s third climate meeting this week, which included adoption of the Norwegian resolution on zero tolerance to plastic and marine pollution. The resolution “urges all actors to step up actions to by 2025, prevent and significantly reduce marine pollution of all kinds, in particular from land-based activities, including marine debris and nutrient pollution”. It “encourages” member states to “prioritise policies” that “avoid marine litter and micro plastics entering the marine environment”. “It is a relatively strong resolution in the way that all countries will work towards a goal. 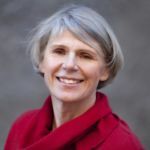 In the past, you have only had the guideline to address the deterioration and assess the situation, “says Lisa Emelia Svensson, Global Director for Ocean United Nation Environment Program, to DN, one of the Swedish newspapers. The world is ready to take action against marine litter! Eva Blidberg is a marine biologist with a doctor degree in marine ecotoxicology. She has worked with different marine and/or chemical matters the last 15 years, and has since 2012 focused on marine litter at Keep Sweden Tidy. As project leader at Keep Sweden Tidy, Eva works with everything from beach litter picking campaigns to acquisition of knowledge in projects as BLASTIC and beach litter monitoring on behalf of the Swedish Agency for Marine and Water Management. She is also a member of HELCOM expert network on marine litter. Eva has a strong relation to the sea and a great interest of making the world a little better.